Alright, let’s get into the details of the A2B Alva+ electric bike! 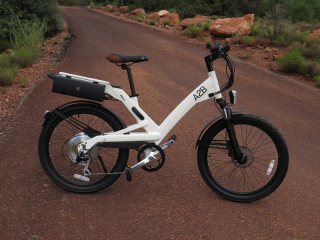 The A2B Alva+ is ready to hit the open road! 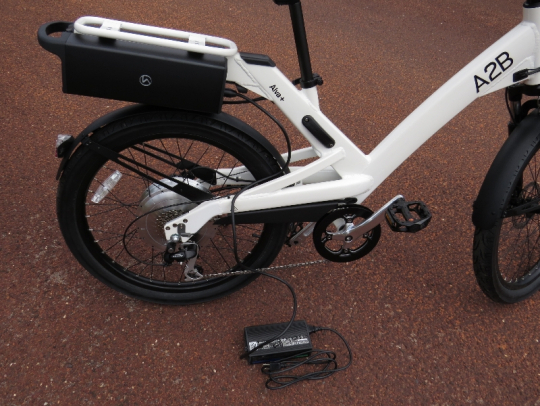 This bike features a 500 watt direct drive rear hub motor, 36V 13.2ah lithium ion battery, wireless key, and much more. The Alva+ step thru aluminum frame uses box section tubing and gussets to give it a unique look and solid ride. 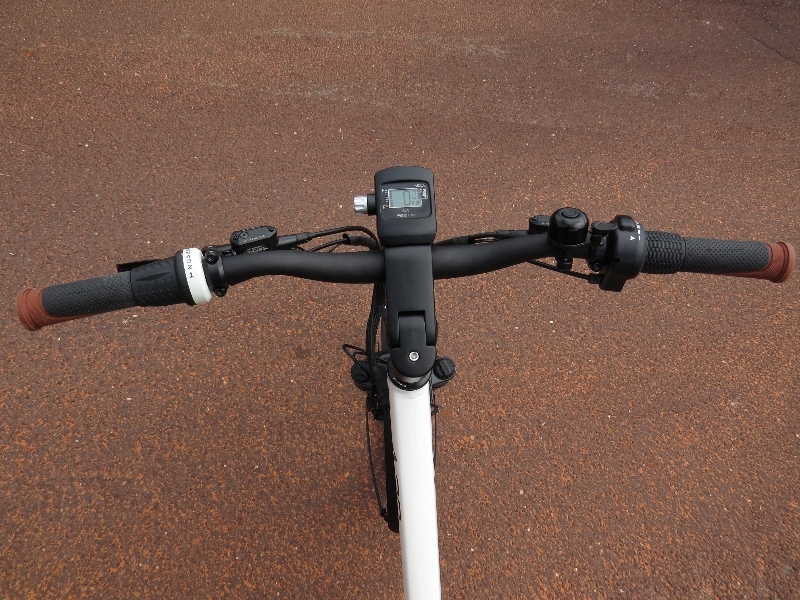 Note the internal cable routing in the headtube gusset to keep the looks of the bike clean. Near the cranks you can see the internal cable routing exiting the frame. 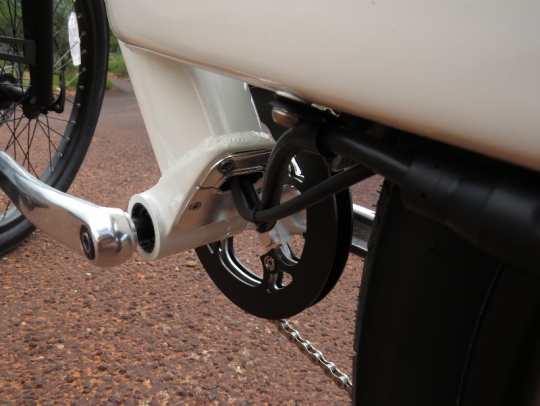 The chainguard on the Alva+ has a clean look with its attachment to the bottom of the frame’s chainstay. The pedals are a wide and grippy platform type of pedal. 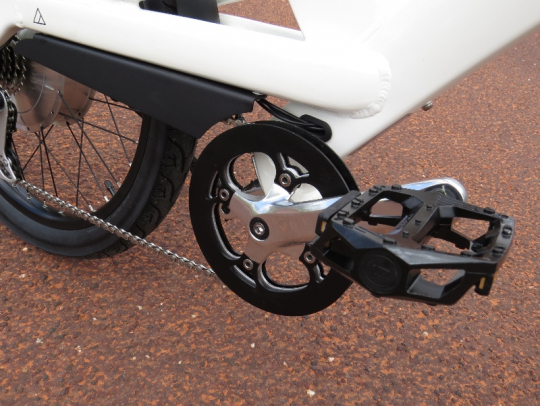 The aluminum cranks feature 1 chainring with double chainring guards to keep the chain from falling off and to keep your pant legs clean. Another example of the internal cable routing in the frame near the cranks. 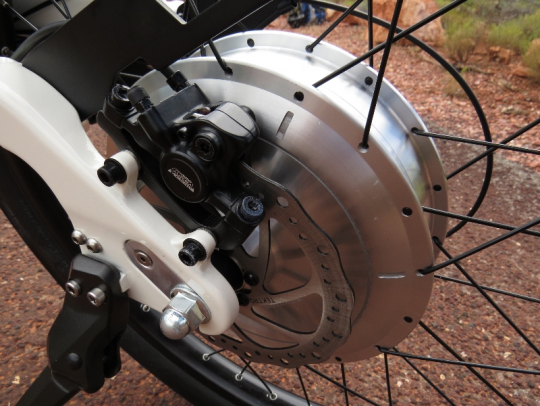 This is the 500 watt direct drive rear hub motor that provides 35 Nm of torque to help with acceleration and climbing. It is a surprisingly quiet and smooth motor. You can also see the pedal assist TMM4 torque sensor that is bolted to the rear dropout area of the frame. 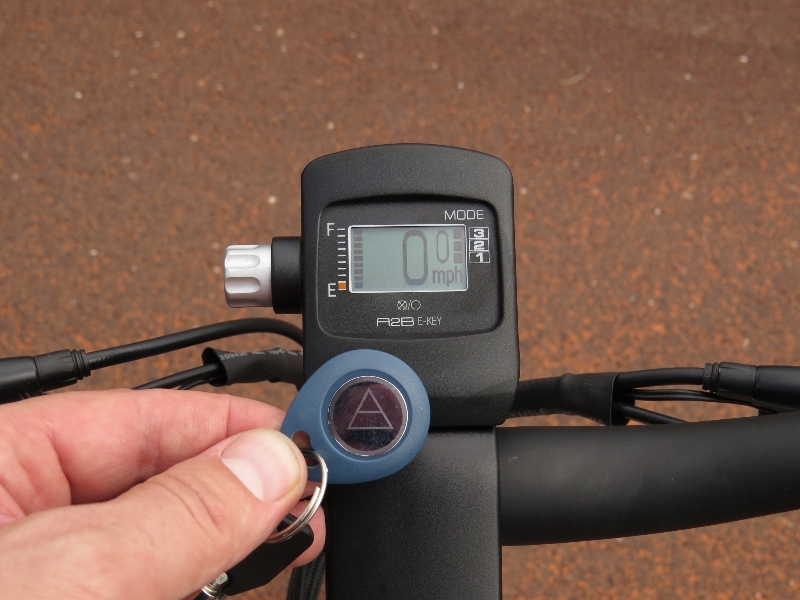 The torque sensor measures how much power you are putting into the pedals (when using the pedal assist option) and then transmits that info to the bike computer system to provide you with the proportional amount of assist based on which assist level you have selected at the display (Economy, Standard, or High). 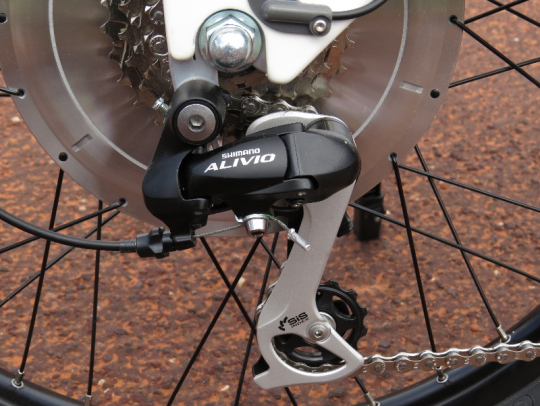 The Shimano Alivio rear derailleur takes care of shifting the 7 speeds available on the Alva+. 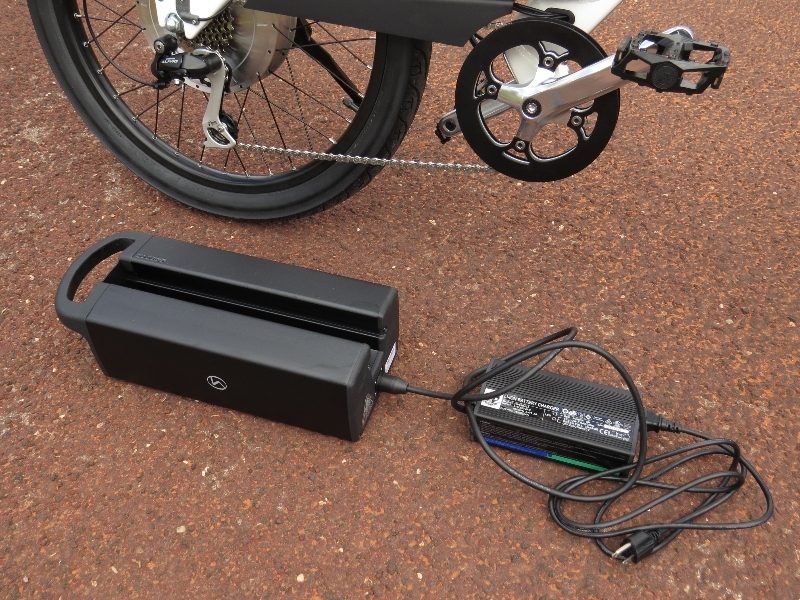 This is the 36V 13.2ah lithium ion battery that slides onto the bike below the rear rack. There is a key lock that locks it into place. There is also an option to upgrade to a 36V 17ah lithium ion battery for more range. 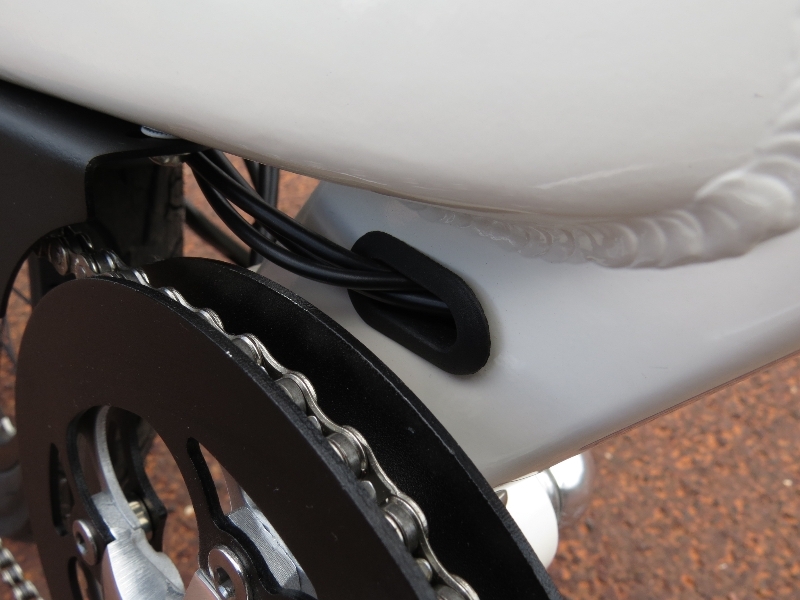 This is a view of the battery pack partially installed on the bike. 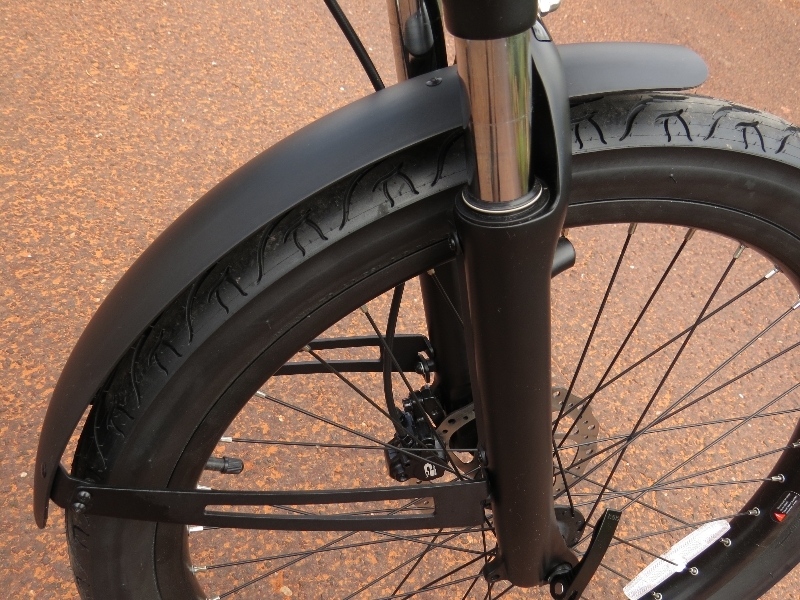 The bike connection chord has been detached from the battery. The battery pack removed from the bike with the charger plugged in. The battery can also be charged on the bike. The connection to the charger and the bike connection (in the background) are magnetized like the charging cord on an Apple MacBook. Here is a view of the Alva+ cockpit. 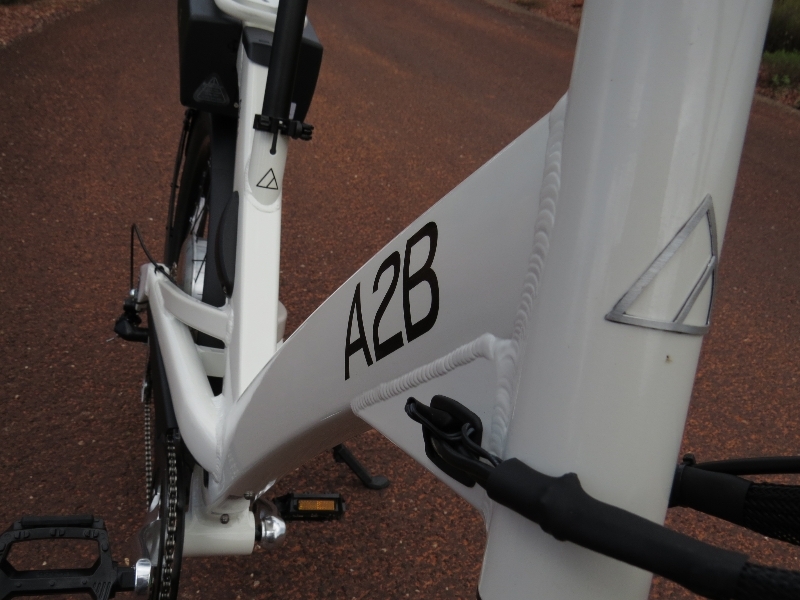 The aluminum cased display on the A2B Alva+ is mounted front and center on the industrial looking stem. 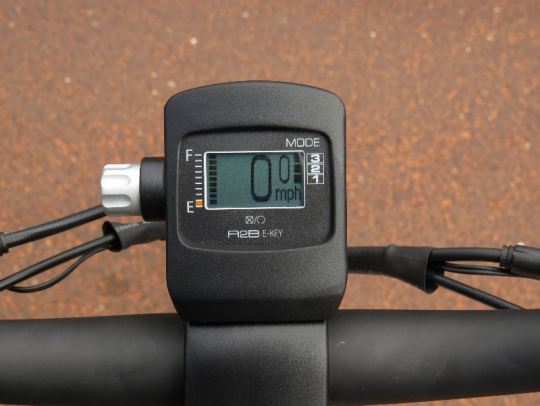 At the display you can adjust the pedal assist levels (Economy, Standard, or High), and check the battery level, speed, trip distance, overall odometer, etc. 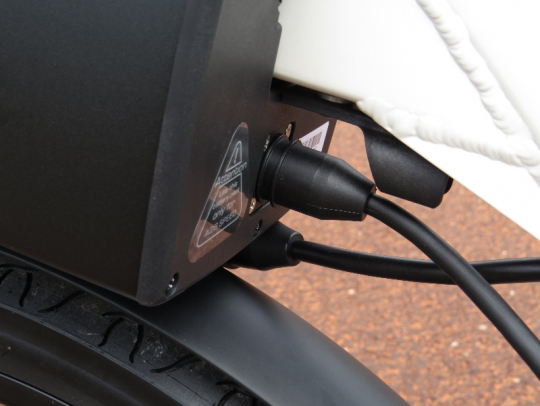 One of the unique features of the A2B Alva+ is that it comes with an electronic key fob “E-Key” that turns the bike on & off. 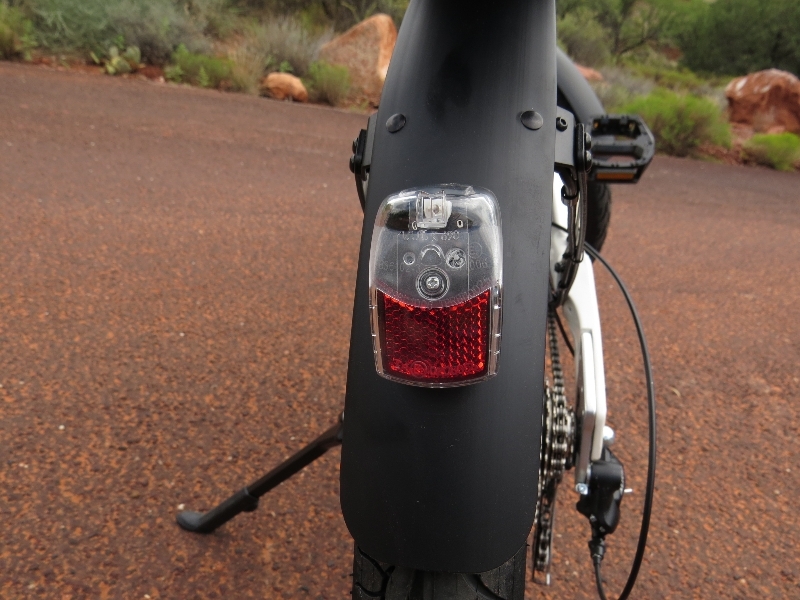 Simply wave the key in front of the display and the bike will come alive! Pretty cool. 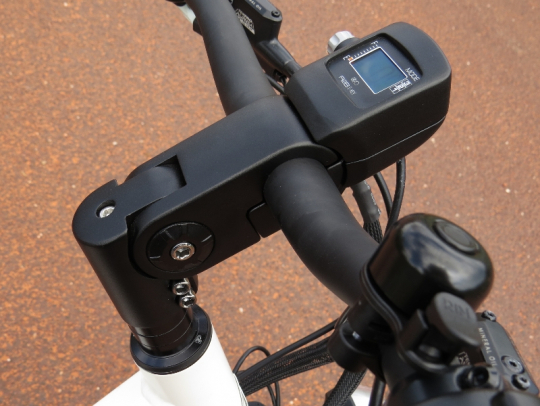 The Alva+ stem can be height/angle adjusted to fit your preferred riding position. On the left side of the handlebars is the 7 speed grip shifter and the Tektro Aurigia E-Comp Hydraulic disc brake lever. 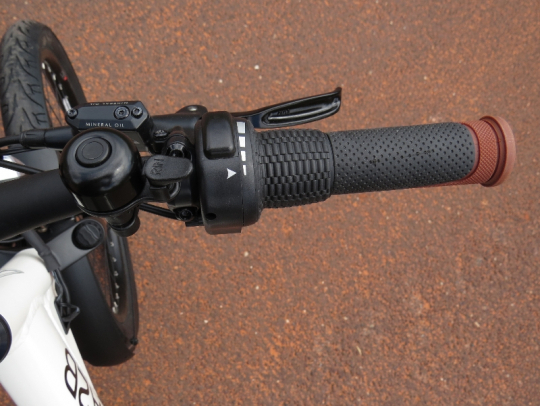 On the right side of the handlebar is the twist grip throttle, Tektro Aurigia E-Comp Hydraulic disc brake lever, and bell. 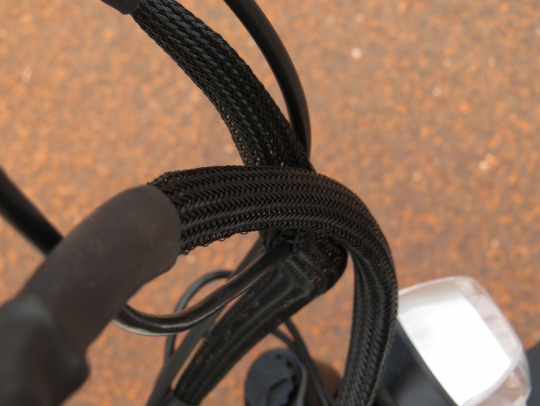 The details: most of the cables and shifter/brake housing are concealed in this braided wrap to keep the cable clutter to a minimum. 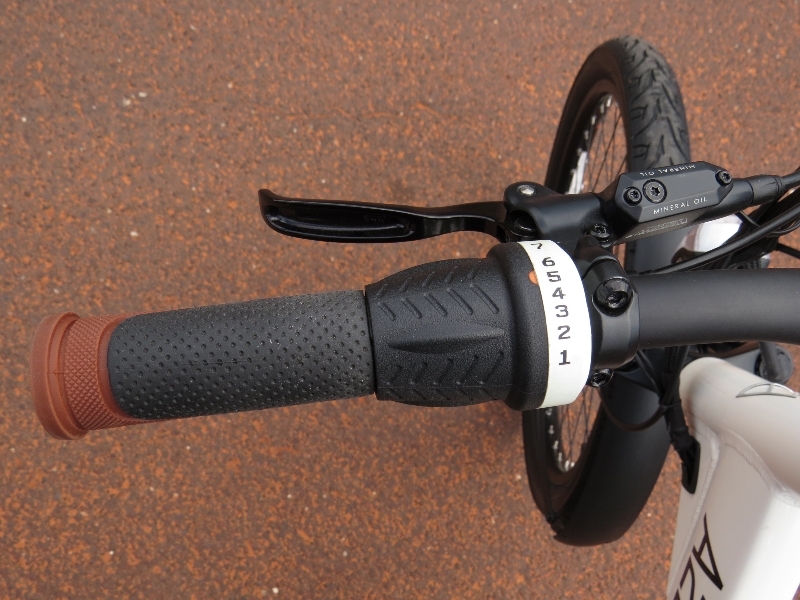 Tektro Aurigia E-Comp hydraulic disc brakes slow the Alva+ down. 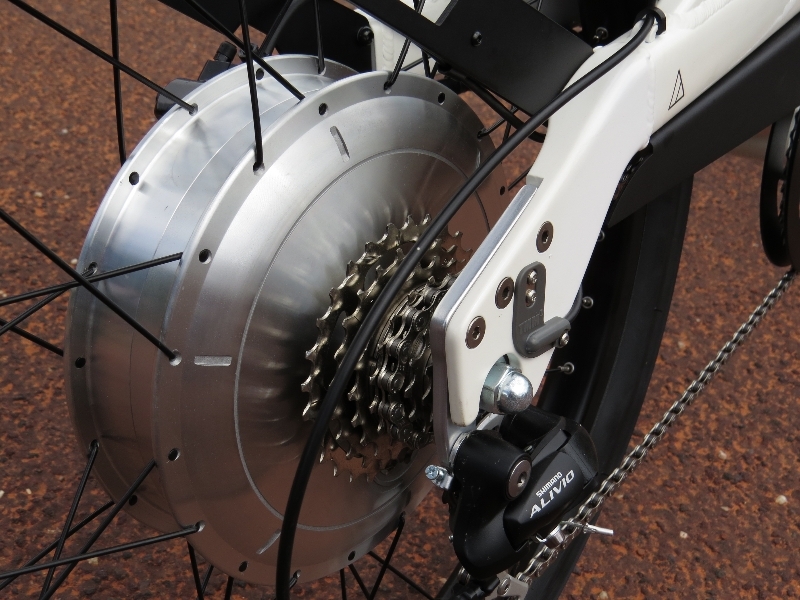 The rear Tektro Aurigia disc brake and the 500 watt direct drive motor. 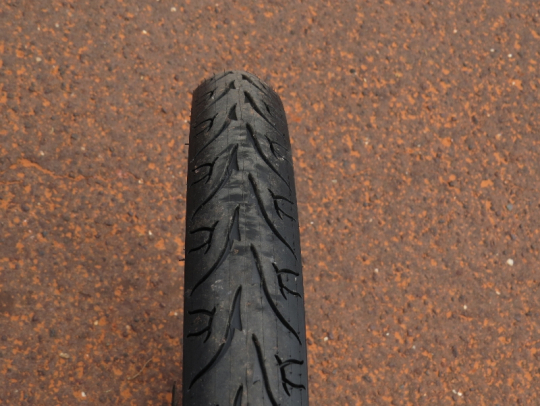 A Suntour suspension fork takes some of the roughness out of the road with it’s 2.5” of travel. 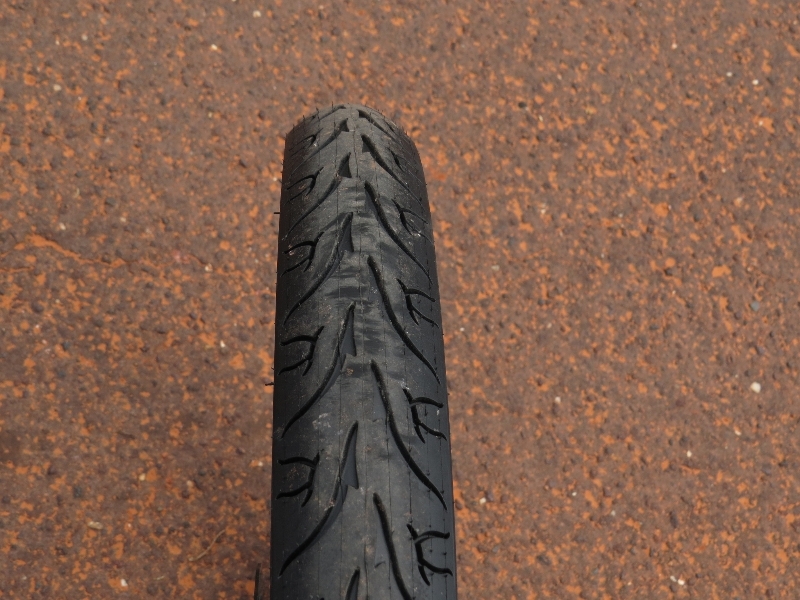 The 24” x 2.35” wide Kenda tires are pretty wide and they provide a cushy ride. The fenders on the Alva+ look cool and they have a sturdy feel to them. Note how they attach to the inner part of the Alva+ frame. 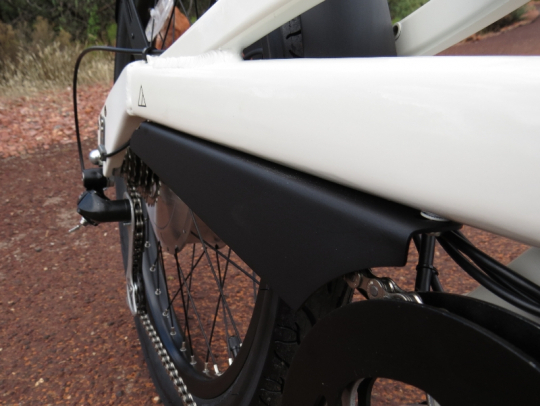 The tough looking front fender matches the look of the Alva+ well. 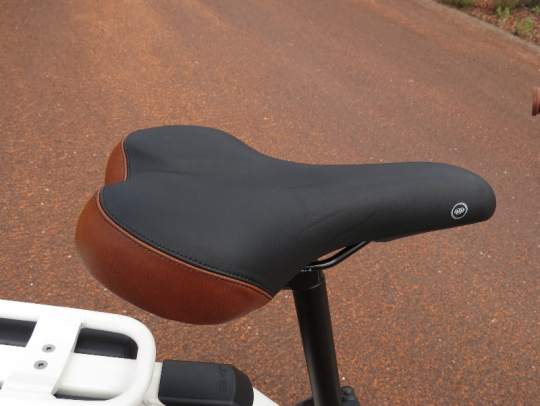 The Alva+ saddle is mid way between a racing style saddle and a pure comfort style saddle. 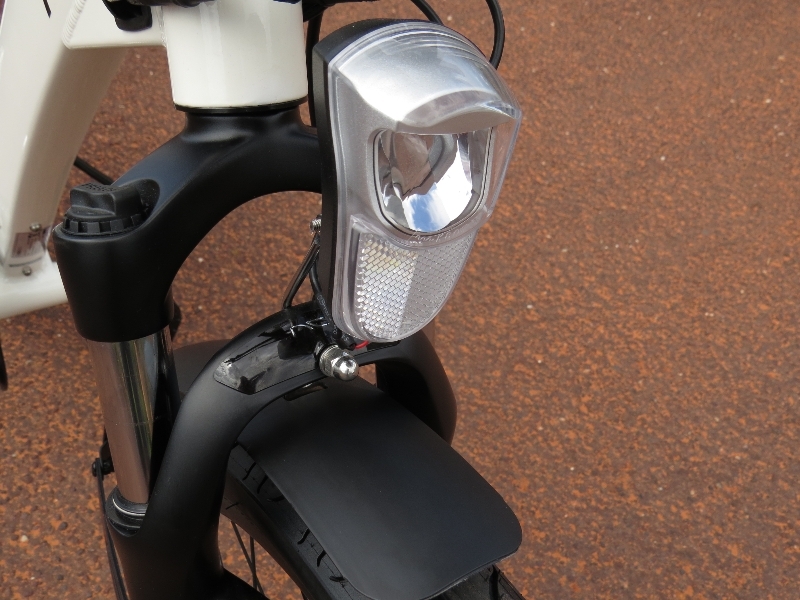 The front LED headlight is powered by the main e-bike battery. 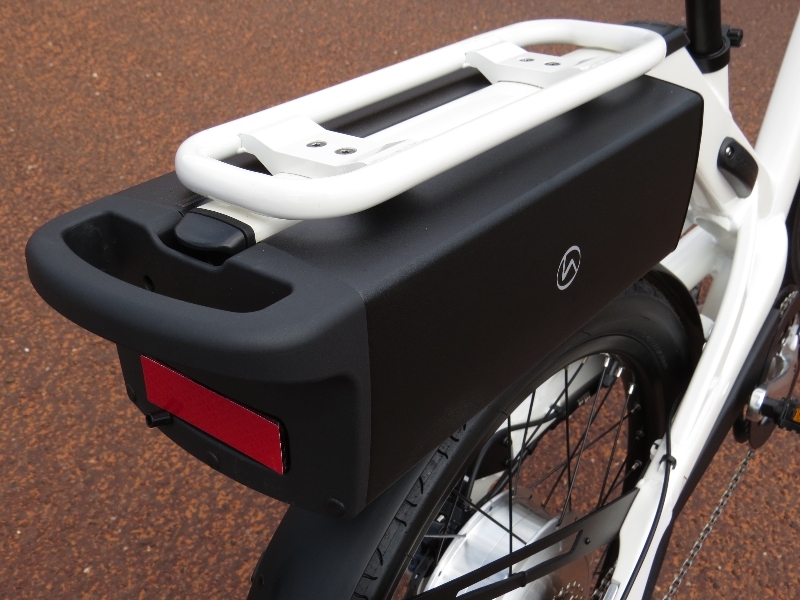 The rear LED taillight is powered by the e-bike battery and it is attached to the rear fender. Frame: 6061 Y- Hydroformed aluminum frame. Fork: Suntour telescopic, 2.5 in travel. 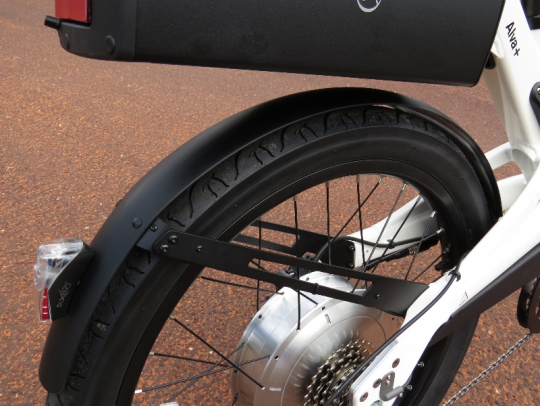 Motor: 500 watt direct drive rear hub motor with 35 Nm of torque. Battery: 36V 13.2 ah lithium ion battery with magnetic plug. 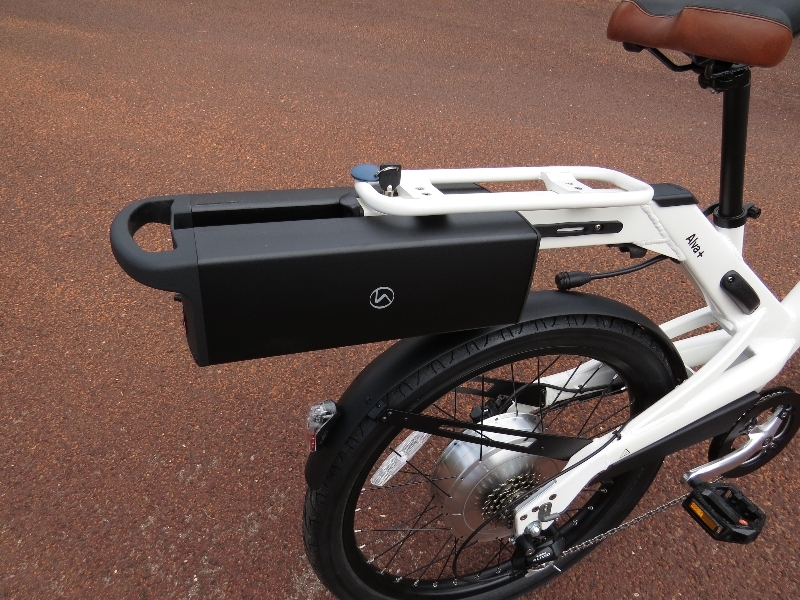 Option to upgrade to 36V 17ah lithium ion battery. Assist Options: TMM4 torque sensor pedal assist with 3 assist options (Economy, Standard, and High) and twist grip throttle option. Drivetrain: 7 speed with Shimano Alivio rear derailleur and twist grip shifter. 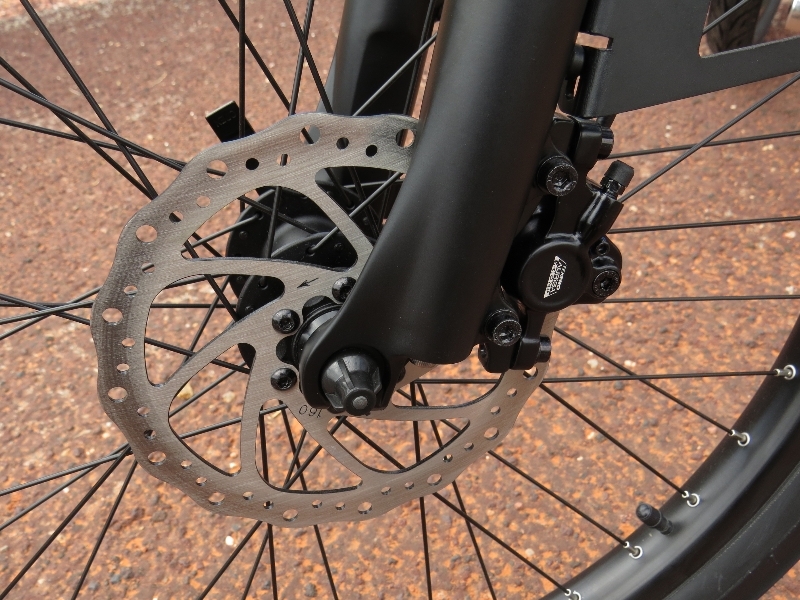 Brakeset: Tektro Aurigia E-Comp hydraulic disc brakes. Accessories: Custom fenders (front and rear), LED lights (front and rear), bell, kickstand. Price: $3,399 USD at the time of this review. Add $200 for the larger 36V 17.5ah battery. Here is a link to the specifications page of the A2B Alva+ electric bike. 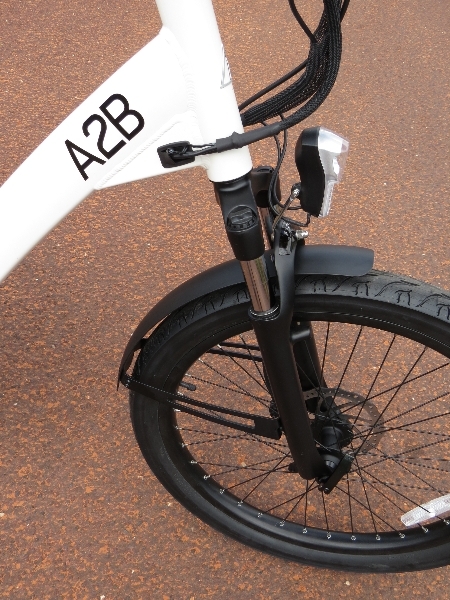 Now checkout Part 2 of the A2B Alva+ review with info on the ride characteristics, the range test, pros, cons, and overall thoughts! Will the price come down? Wow, weighs 72 pounds! And the battery up high. This has got to be a tippy bike. I thought my Pedego City Commuter was heavy @ 58 pounds.